Down payment assistance program offers $20,000 to home buyers in select Arizona cities. 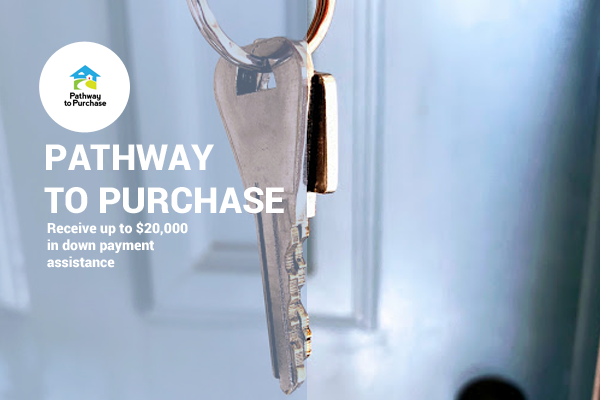 The popular Pathway To Purchase down payment program is back for 2018. A total of 15-million dollars have been committed to the program, and it is available on a first come first serve basis. Borrower(s) Income not to exceed $92,984.00. Purchase Price limit not to exceed $371,936.00. Existing, previously occupied properties only. The DPA provided is 10% of the purchase price up to a maximum of $20,000. Bull Head City, Casa Grande, Glendale (85301), Green Valley, Kingman, Phoenix (85042,85016,85017,85041,85051) Rio Rico, Sahuarita, Sierra Vista, Tucson, Vail, Yuma. Each borrower must complete a homebuyer education course before closing. Take the first step and contact us to see if you qualify. No cost pre-qualification. or fill out THIS form and a team member will contact you.